TIRADE, Holland. Dutch magazine in book form with various articles by various writers. It came yearly with 10 issues. 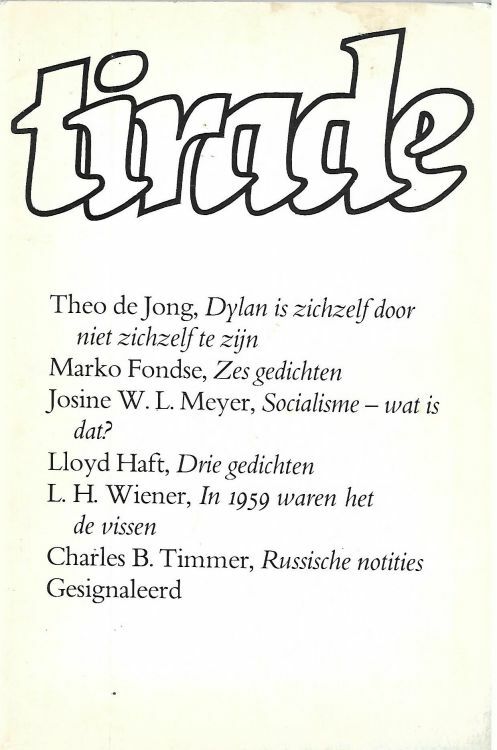 Volume 23, issue February 1979, 17 page article by Theo de Jong: Dylan is zichzelf door niet zichzelf te zijn. This volume has 64 pages. Thank you to Peter Oudejans for scan and information.